I have a small exclusive group for D3 users in Yahoo groups.. We need more members as the group is very small. Any enthusiastic D3 ownership is invited to join. If interested, contact me at fotabug@comcast.net. We would be happy to have you. Owned it since you could first purchase it. Learned to use it shooting running puppies in a park - its performance and its abilities make it user friendly. Well worth the moneyl. After 15 months with the D3 I feel I can speak with some authority, more so than some who it is obvious has never used one. My feelings now about the camera are the same, no more so convinced that this is one of the very best DSLR's made. It's interesting that a few have so much to say about the camera and basically knock it and the D3x solely on the basis of cost. If you really want to know something about a D3 or any other camera, ask a user, one actually familiar with it. Another factor that ought to be considered is the experience of pro's and also their choices. Some top pro's who I have followed for a long time are users of both D3 and D3x. I would go by this reliable information any day over the rants of some who have never touched either model. After a year and a half of use and a number of very pleased clients, I would now even more positively recommend the D3. comparing a 5D to a D300 is somewhat picked from high. A 5D has half of the per pixel resolution as a D300. Never forget the a full frame 12 mpix is nothing more the a double half sized and it's only advantage is the more all over dynamic range it offers compared to a half sized. Thus a D3 or a 5D have nothing more then a double sized picture with same resolution as a D40 or a Rebel 300. A D3 takes light sensivity advantages out of a pixelsize that is larger then the one of a D40 and no need to say that all over per pixel resolution and sharpness can not compete wit the one of a D300 or 5Dmk2. Now, what gives recent cameras a kick is the software and the ability to handle the data from the capture device in a better way. 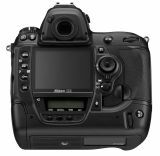 Note that a D700 has a better ability to handle the shot as the D3 and the reason is simply that it is a more recent generation and that is normal. If you rework an old nef file of a D70 with today's software, you ask yourself why you sold your camera once. Note that the D300 is quite noisy at base without any noise reduction and only software handling make this possible. If I compare today the shots of the D700 or D3 to my Fuji S5, I prefer the S5 anyway. Beside an S5 shot, all Nikons just look "screamin' digital". The best rendering I ever had from a Nikon was my D200. No wonder that I do not sell that camera. I do not think that Nikon's more technology on the D300 is an argument to step to it compared to the D200, specially if you compare the picture quality all over. Amazing camera. I am getting film like images that are beyond anything I have used before, Nikon or Canon. From my point of view the 5D offers no competition. It is matched by D300 results, D3 results far surpass it. This is the very best camera Nikon ever made. Only those who have actually used one can really have anything to say about it. Overall, the D3 is a pretty amazing camera. The image quality is outstanding, rendering sharp details, accurate colors and gorgeous bokeh. High ISO results are the best I've ever seen from any DSLR. The D3 body handles exceptionally well, includes countless features and a wide variety of customizable settings. Unless your photographic needs call for a smaller, lighter DSLR, the D3 is really hard to beat. The theories that claim a sensor to have 22 mpix to equalize film resolution are based on initial size of picture one needs to get a 60x40 shot in same quality as a film shot. This is theory and practice shows that drawing a picture as smooth as a film shot can be achieved today with quite a few cameras, even with lower pixel amount. Those theories are from yesterday, for sure, but are not that false in some way. The D200 was one of the first cameras that convinced me that film is yesterdays stuff when I printed the first large size shot from that camera. Doubling the pixel amount to a full frame sensor size equals not more then a 22.5 mpix. Now, Xabier has the right opinion concerning comparing D3 to 1DSmk?. The D3 can not compete in resolution and initial picture size with the 1DSmk2 or 1DSmk3 and even the 5D, when magnifying a crop of a shot to some 400% shows better basic resolution then a D3. The D3 is a camera that has been made by Nikon to satisfie the demand of specific needs, mainly for army services and reporters who need high iso accuracy and extrème speeds. No need to say that Nikon has allways with Canon been the suppliers of the US Military services and most reporters in war and action fields use Nikon Cameras. Nikon has not made the main work on the resolution since compared to a Dx sensor, the FX sensor has a resolution of 5.1 mpix and the camera runs at that resolution once a DX lens is attached to it. No need to say that a D300 with more then the double of that resolution will satisfie many more people in picture quality on the end then a shot in same size with less then half of it's resolution made with a camera that costs allmost the the tripple. On the other side, Canon's nice picture series has allmost ended with the 1DSmk2 since the Mk3 draws horribly "digital" and looking closer at the resolution the pictures look more like those of a pocket camera then a high end full frame gear. On that gear Canon has tons of work to do to get this look the way it should for a 22 mpix full frame. A prove that many megaixels are not absolutly the top. Concerning Nikons next D3x, some people, among them Rockwell and Hogan, say that Nikon's next chip will have 18 mpix. If Nikon's goal had been to challenge Canon, this chip had certainly been on the market yet in the D3 body. Concerning the useless lists that some people take time to publish on any site, one better looks closer at Nikon's factory site to find out that Nikon offers 4 professional cameras which are the D3, D200, D300 and D2XS. I do not think that anyone will denie those facts just because he thinks it should know it better. No need to say that pbase and other photo related sites proves everyday that one needs no Pro camera to make a good shot and tests that are published do not allways give the better note to cameras made for professionals as well. Pro means axpensive, but this does not means that it has to be better or that it should fit your requirements. Oh! I forgot, someone says that the digital equivalent of film wold be 20Mp. Sorry to say so, but I don't agree at all, that was the theory that came out when the cameras that were in the market were the D1 and 1D... a few years ago. In our days, almos any CCD or CMOS arround 10Mpx gives faar better image quality as an overall (talking about DSLR). Though I am still a romantic and I love film and still shoot B/W once and a while, and I still develop them at home with my old Jobo processor, a digital image has less noise/grain then film has in the equivalent ISO. It has more line definition then film in the same ISO. And it has more dinamic range/latitude then film. I still have my film gear from Nikon and it's totaly dead, I don't find any advantage to shoot with my film reflex having a D-200, thats the truth. The only film camera I use is my beloved Contax G1 rangefinder with my four impressive Karl Zeiss Tessar lenses. And the only reason why I still use it is because it gives me a whole other photographical language. Perhaps I am wrong, but I don't know why people insist in comparing the Nikon D3 with the 1Ds of Canon. I believe that Nikon whasn't realy looking to full fill the needs of high resolution pictures with the D3, but the speed that a sports or a press photographer needs. To my opinion de D3 is a direct competitor of the 1D not of the 1Ds. I don't find a point to discuss about the D3 and the DS, they are other concepts, the DS can't match the speed of the D3 and the D3 cant match de resolution of the DS, so what. If many of you wold work in daily first line press you wold apriciate the need of a fast camera and a camera with wat you can shoot at 6400 as if you were shooting with a 1600, if not at 800? Speicial low lights are one of the speciall problems in press photography. After all, what's the largest size that they publish one of your pictures? A full cover at 200 dpi on news paper, if you get the news of the year? This resolution is more then enough for it, but even so, most of the pictures are only 3 columnes large, at most. So whats the deal? Canon and Nikon alwais did the same, first they take out the fastest camera but lower resolution, first of all because press is the most sensitive market too these changes, and afterwords it is a good trial scenario for the cameras were they can study the noise, autofocus resoponse, cold, warmth, rain, wacks and falls, etc. And once they see that the fast version, that is also the cheepest, works fine or not, they prepare the line for a more expensive camera, the high resolution one that is also quite a bit more expensive. I am almos sure that Nikon will take out before next summer the equivalent to the DS, don't know if it will be the D3x or if it will come under an other name... but probably it will not be that fast, it will probably have more noise problems, and it will be quite more expensive. By the way, the competidor of the 5D is the D-300 not the D3, the D3 has as much to do with the 5D as it has with the DS. Thought for totally different markets and clients. I still do not think that Nikon made a full frame because it would give better results. To my opinion, the goal was not to be behind Canon in this field and on the other side to stop finaly the screams of all those Nikon freaks that wanted a full frame body, despite of the fact that probabely more then 80% of them can not afford to buy it. Even if the D3 handles high iso ranges in a superb way and the autofocusing system is beyond just anything on the market yet. I find Canon's full frame cameras to have a better coulour dynamic, even if the 5D has some problems to handle the highlights and is somewhat tricky to use at counterlight. Also the drawing of Canon's full frames is much smoother, less digital in some way. I am a Nikon user myself since more then 40 years, but still stay objective. Had now the occasion to compare all full frames made and think that for me it's still to early to step to a D3. Let's see what it gives when the first pixel increase comes. Note that Canon's step to 22 mpix with the 1DSmk3 was not a good idea at this state of technology. The 1DSmk2 remains the better choice. The D3 produces vivid colors and fine details. High ISO performance is stunning, even 3200 ISO results are exceptional. Photos pop, subjects are isolated, almost three dimensional. The bokeh produced by Nikon's fast lenses and the D3's FX sensor are particularly appealing. More so than on DX bodies, lenses like the portrait classic 85mm f/1.4 AF-D are again at home on the D3. There are many more things to like about the D3, too many to list here. Nikon's done a great job on this DSLR. Oh boo hoo! looks like my comment upset a lot of Nikon owners judging by the amount of messages I've had. It's a camera, grow up. I'm a Canon user and had the chance to work with the new Nikon D3 and shot a images from a catwalk with a 400mm VR at ISO 3200 and 6400 and the results are mindblowing. Color accuracy, sharpness, detail and DR are exceptional. Autofocus is a step up compared to our Canons. Very good camera! I got D3! It's a amazing camara!!!!! I took sample picture with 85mm f/1.4. Check it! I like your site Jerry, and the cool gif^^^^^! 3) Better high ISO performance than any Nikon user has ever dared to dream of! Everything else is just gravy! Besides, it will be fun to be the only black lens on the sideline at the Iron Bowl! Nikon always said: "we will not make a fullframe camera when it does not give any benefit to image quality." Well here it is. The D3 is a wonderful camera mainly aimed at news and sports photography. I could have a brief play with it and was impressed by both focus and iso performance. This excellent high iso performance is by the way easy noticeable at a very impressive back-lcd. I was already impressed by the D2 series, but this is a camera I almost instantly said yes to after trying it out. There are no reviews of, only previews so we have to wait for sites as dpreview to do the judgement call. I do not believe that the picture quality and resolution can beat the one of a Canon 1DSmk3. The use of the cmos technology by Nikon makes it possible to select different formats, including the apsc or dxformat. But, the DX format that is a half sized 24x36 chip that gives here 5.1 mpix and thus the full chipsize has the same resolution all over. Here the better dof and dynamic will not change anything. Canon had this resolution on there first 1DS, they increased to 16 mpix and now they went up to 21 mpix. If the 12 mpix where the real thing they wouldn't go that far. The real resolution one needs to match a 24x36 is 23.5 mpis at 4100 dpi. So, a 12 mpix with 300 dpi is far away from it and I do not like the game Nikon plays which, as I said in my previous comment, goes in direction to sell you a bunch of cameras, a 12 now, a 16 next year and a 22 a 6 month later, just like Canon did too. Sure, this camera has a lot of things to play with and for which one can ask if one needs that, but for me, the real thing was to concentrate on the chip first. Who buyes a FX format camera to play with DX lenses and who needs 25600 iso. This is all commercial blabla, nothing else. Let people who use DX play with there toys and those using FX play with there's. I doubt that this FX camera will make any better picture as a D200 anyway. I will buy that camera some day, but only when it is at the state I would like to have it, not the way it is now. I knew that Nikon wold not take long to take the market with a FX. I whon't have to stand any more my collegues asking me about the day I'll switch to Cannon!!! Took a long time. It's a little bit expensive. but it is an article worth such an expensive cost and more competitive than 5D or other Canon models.